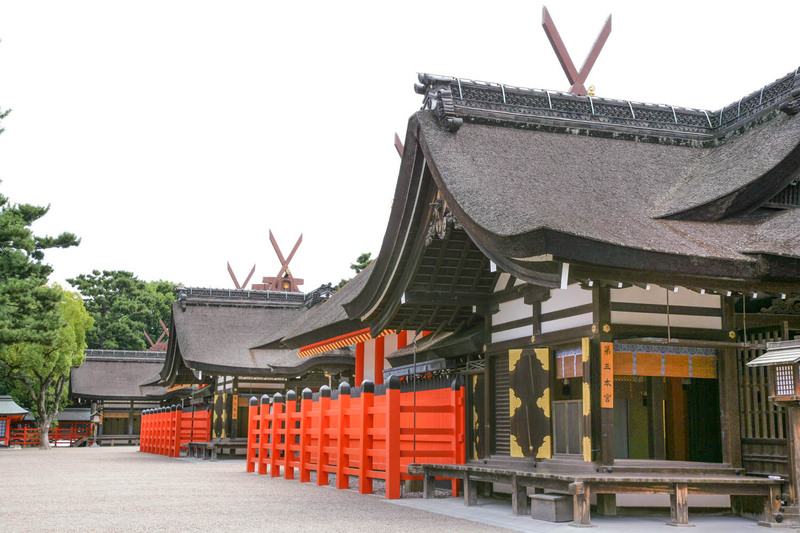 Sumiyoshi Taisha (Sumiyoshi Grand Shrine) is total head shrine of Sumiyoshi Shrine there are 2300 locations in Japan. 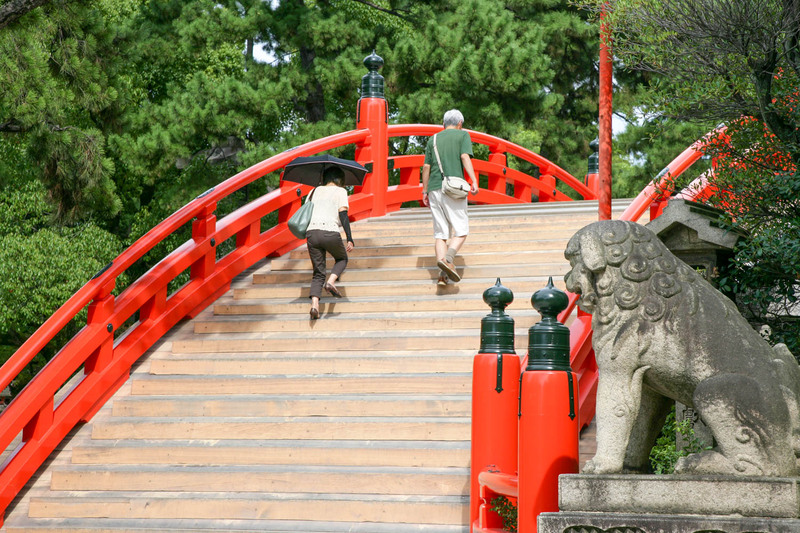 It was built by the Empress Jingu, about 1800 years ago (211 AD). 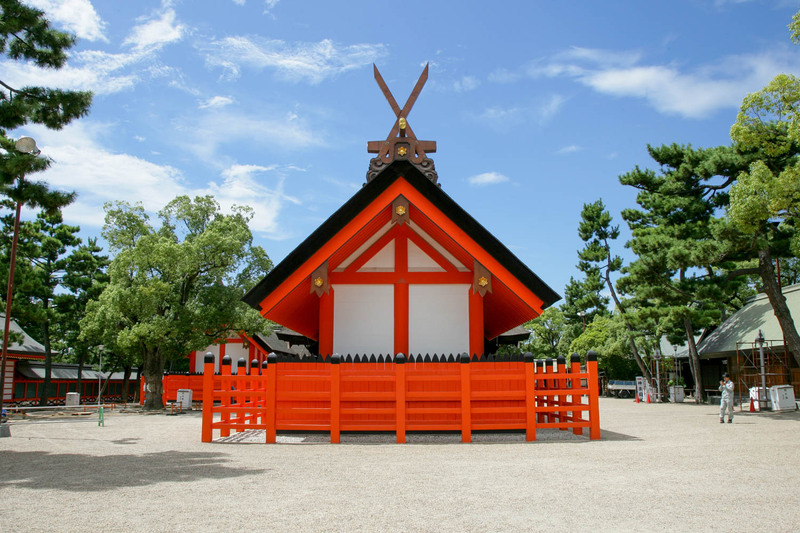 The attractive points of Sumiyoshi Taisha is very widely and deeply. 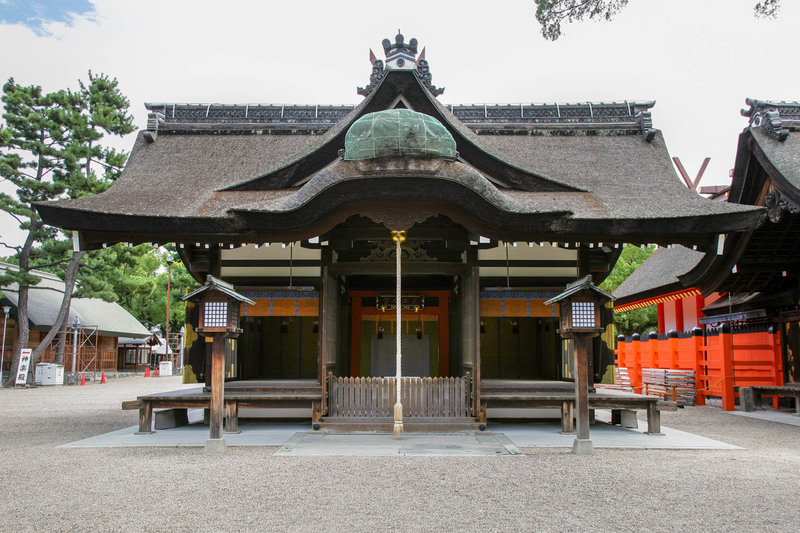 Daily worship and New Year's First Visit to Shrine (Hatsumode), Architectural style about Sumiyoshi-Tsukuri etc, The relevance of the Sessha and subordinate shrine which built many in the vast precincts, Historical and mythical of when the Empress Jingu has been erected the Sumiyoshi Taisha. 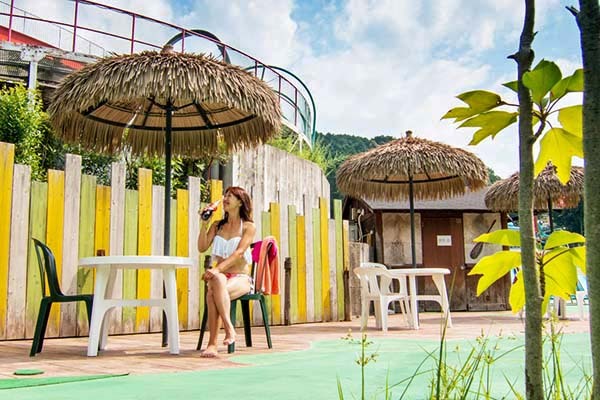 There are very attractive for the people that who is interested in each, and will want to visit again and again just because only of it. 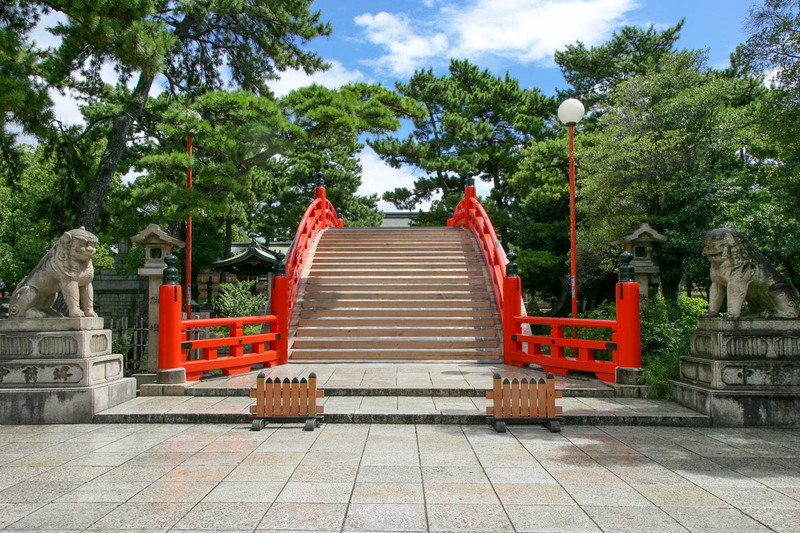 "Taikobashi (arched bridge)" is one of the pronoun of Sumiyoshi Taisha, and it looks to the front when entering the precincts from the West. 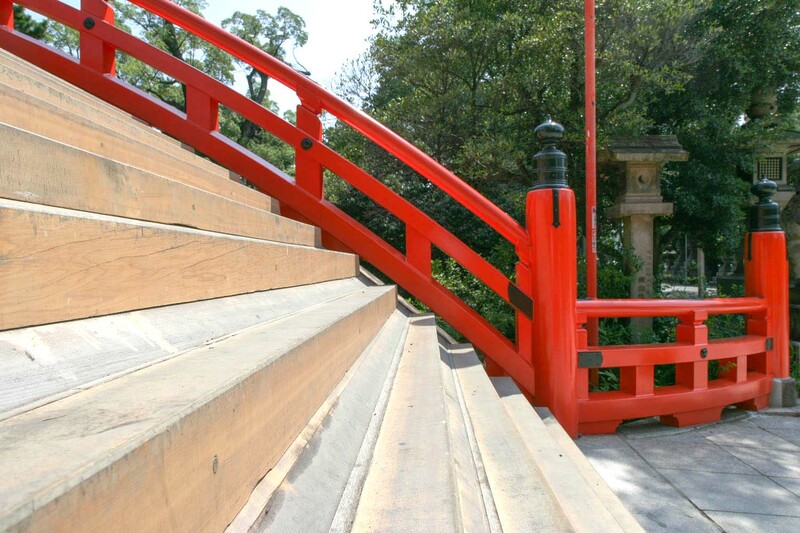 The distinctive arch drawn beautifully, with shine balustrade painted to Zhu. 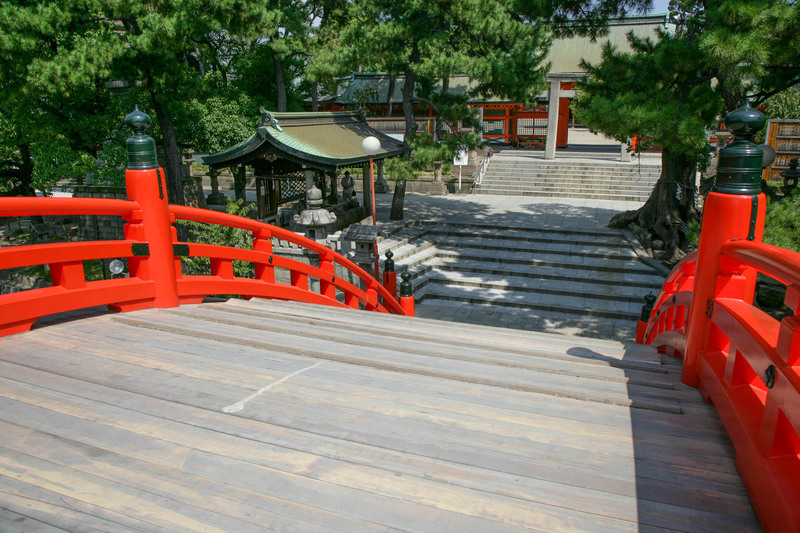 In shape, it will be steeper at beginning of the bridge, and vicinity of summit is almost flat. 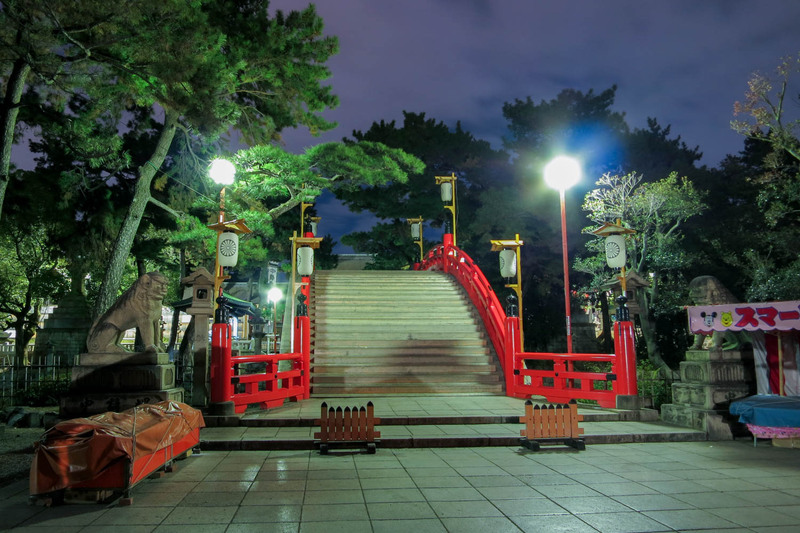 And it equipped with a staircase that step height is to change gradually. 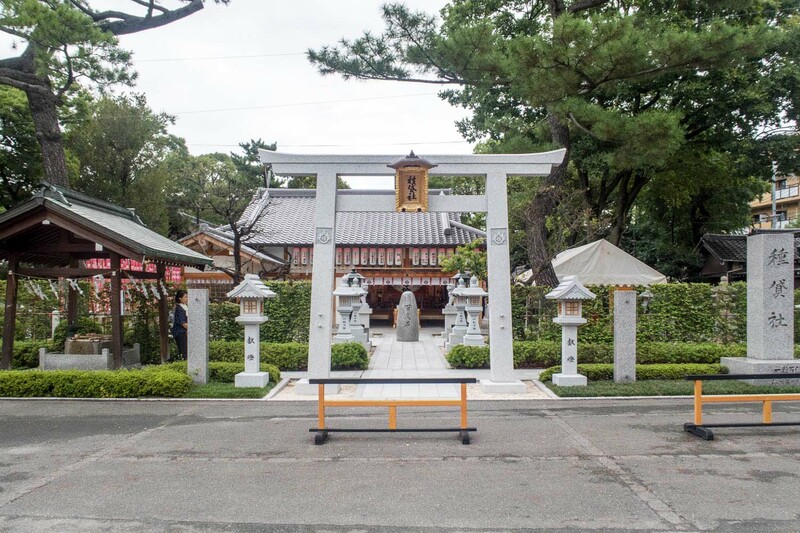 Upon entering the precincts from the west front of the Sumiyoshi Taisha, the Taikobashi (arched bridge) is seen beyond the large Torii. 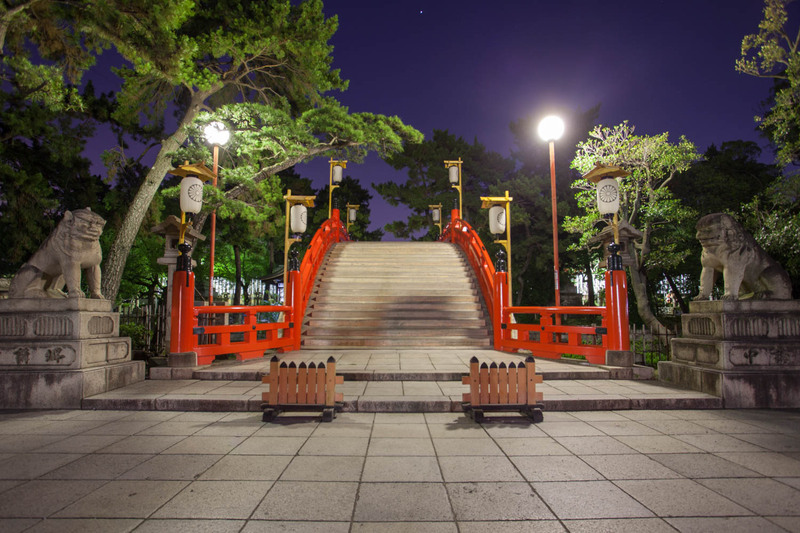 This bridge, the slope of the end have become quite strongly, it has become a steeper angle than the stairs that commonly see in the city, such as train stations and pedestrian bridge. 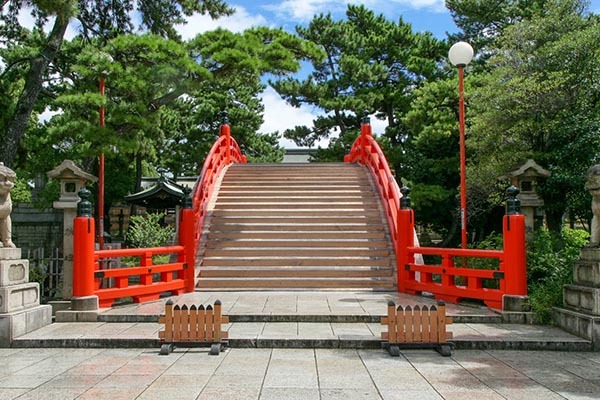 Therefore, when to see this bridge up close for the first time, it is the impression such like the "wall", and feel larger than the impression when viewed from a distance. 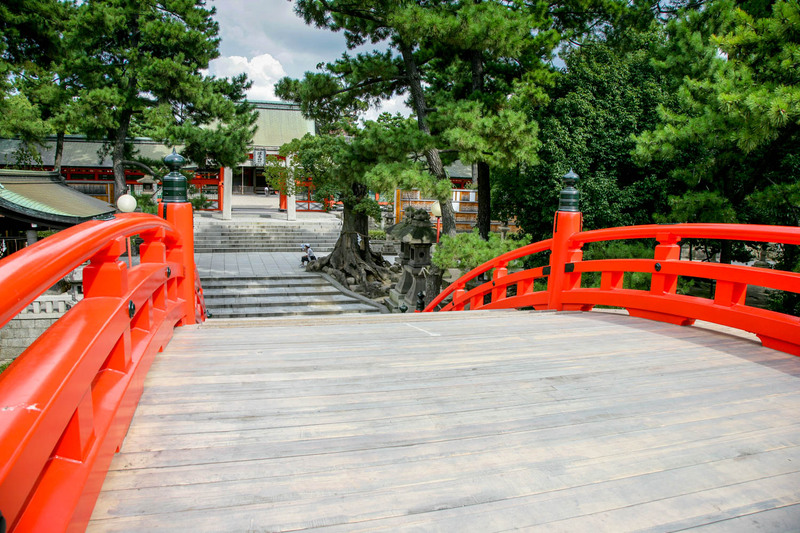 And across the arched bridge there is Chozuya in the left hand. 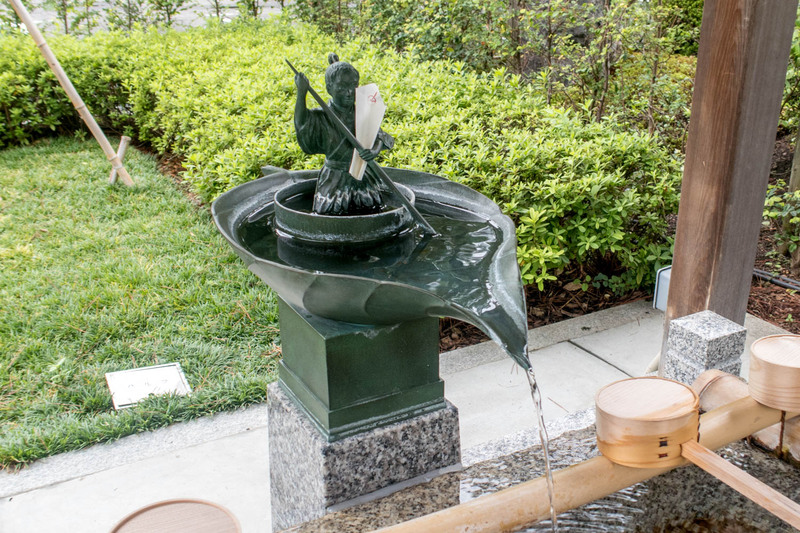 The reason why the water has been poured from the rabbit, in Sumiyoshi Taisha because rabbit is a Apostle of God, its origin is the day when Empress Jingu was build is has been because Unotoshi (rabbit year), Uzuki (rabbit month), Unohi (rabbit day). 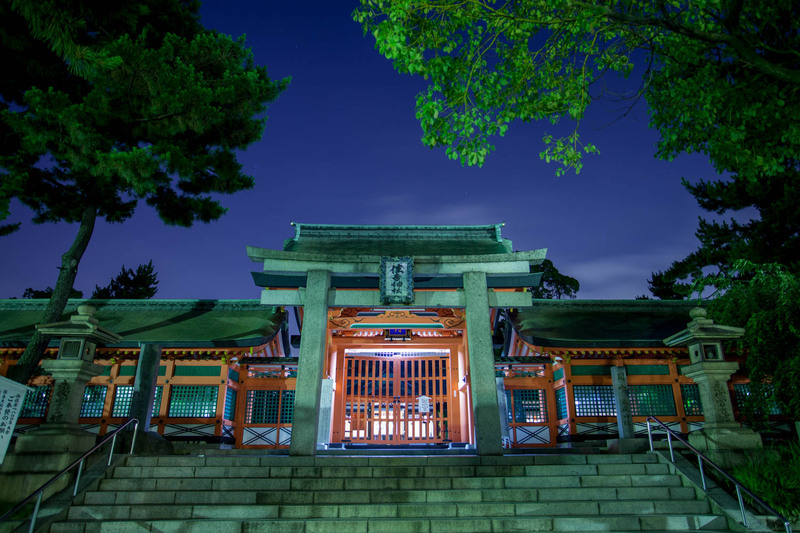 Sumiyoshi Taisha is to worship the 3 Gods of which are said to Sumiyoshi Sanjin,and later on, came to be worshiped as Empress Jingu herself God that was built the Sumiyoshi Taisha, therefore there main shrine is 4 buildings. 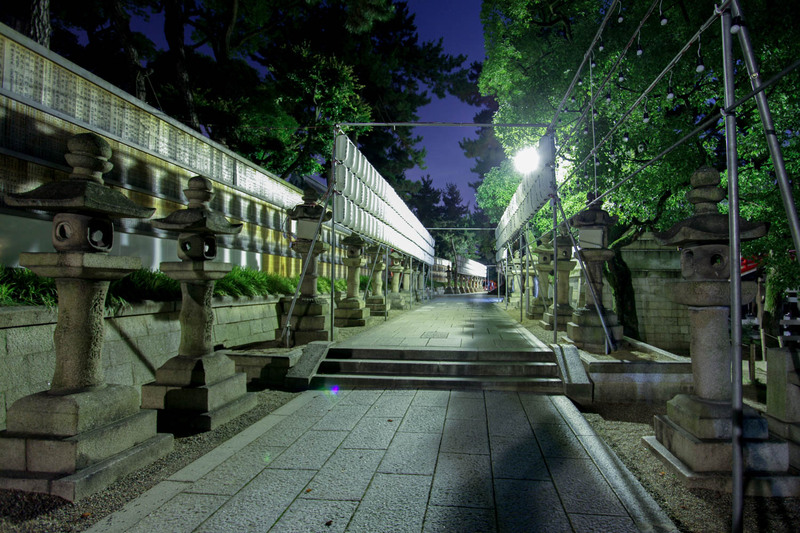 Sumiyoshi Sanjin is enshrined from First Main Shrine to Third Main Shrine, and the three buildings are lined up in a row facing almost due West. 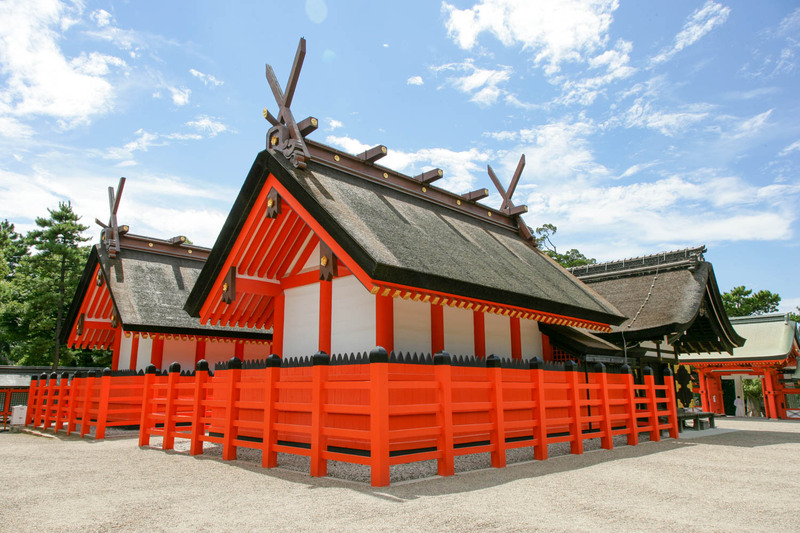 The Fourth Main Shrine which enshrined the Empress Jingu has been built alongside the right side of Third Main Shrine. 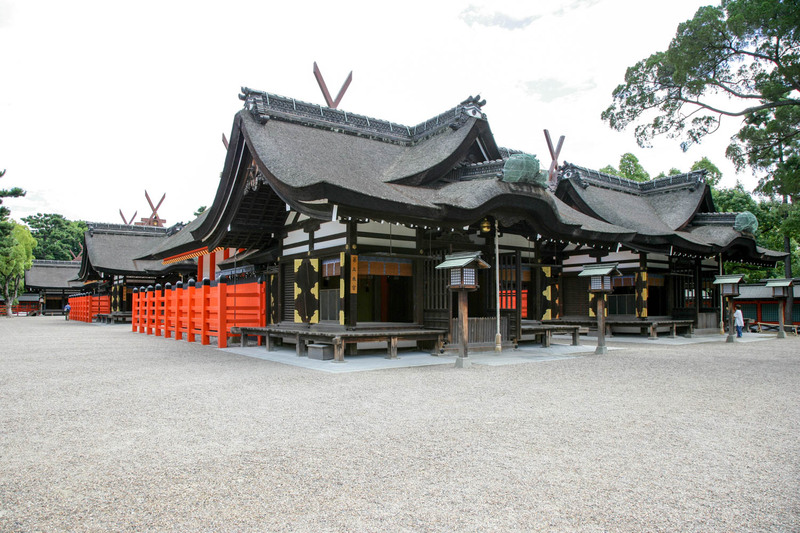 In the photo, this side is Third Main Shrine, and the side by side to the right is the Fourth Main Shrine. 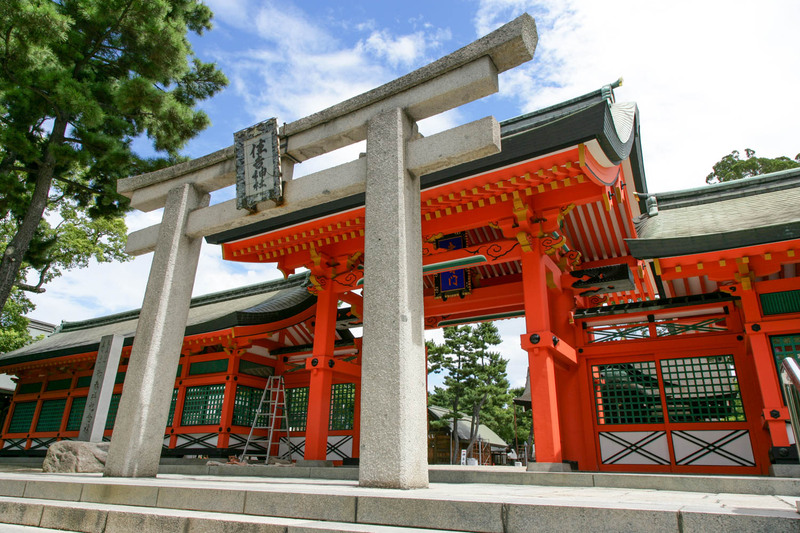 In Sumiyoshi Taisha, from the First Main Shrine to the Third Main Shrine are gods, and the Fourth Main Shrine is be goddess are enshrined. 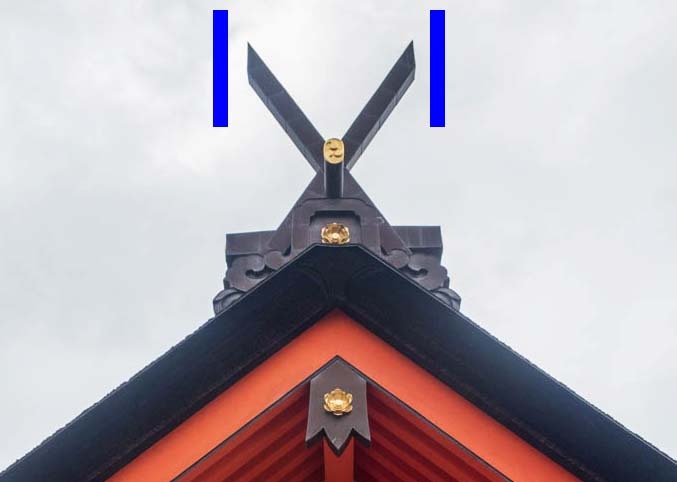 And according to the Japanese Shinto architecture, it is different shape of the "Chigi" portion of the roof, depending on God or Goddess. 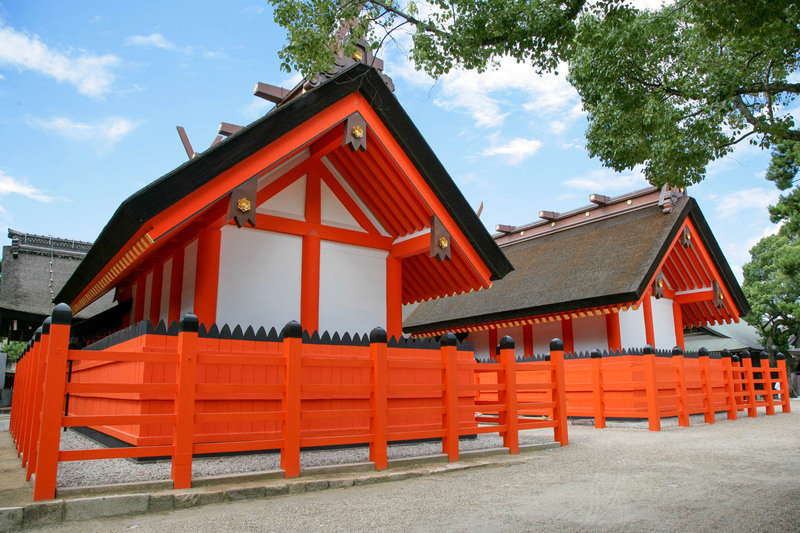 In Sumiyoshi Taisha, 4 buildings from the First Main Shrine to the Fourth Main Shrine has been designated as national treasure. 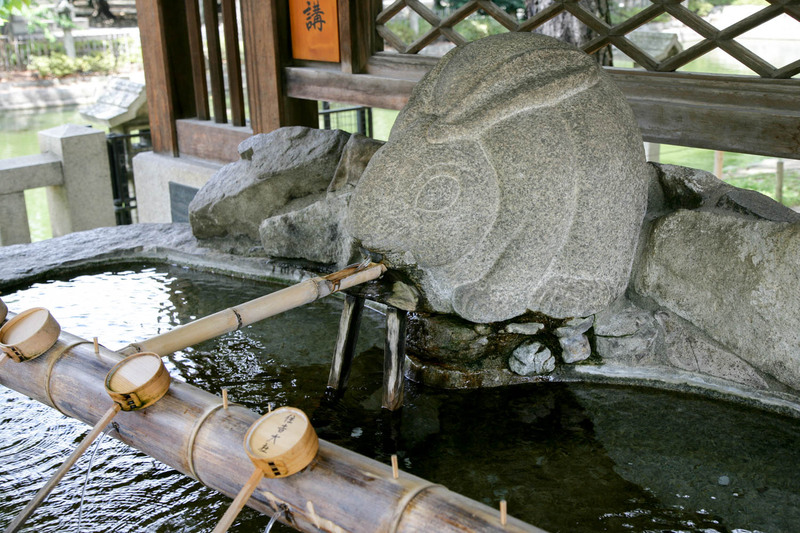 There are Chozuya immediately left-side through under the Torii, and there was a Issunboshi riding a bowl. 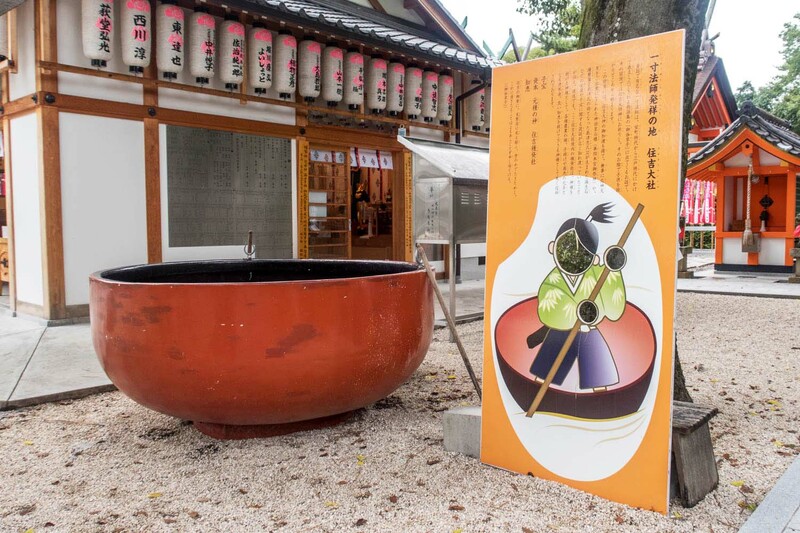 There are established a large bowl of a size that actually ride a person and panel on the right side of Tanekashisha Main Shrine. And have been written on panel such as the following. 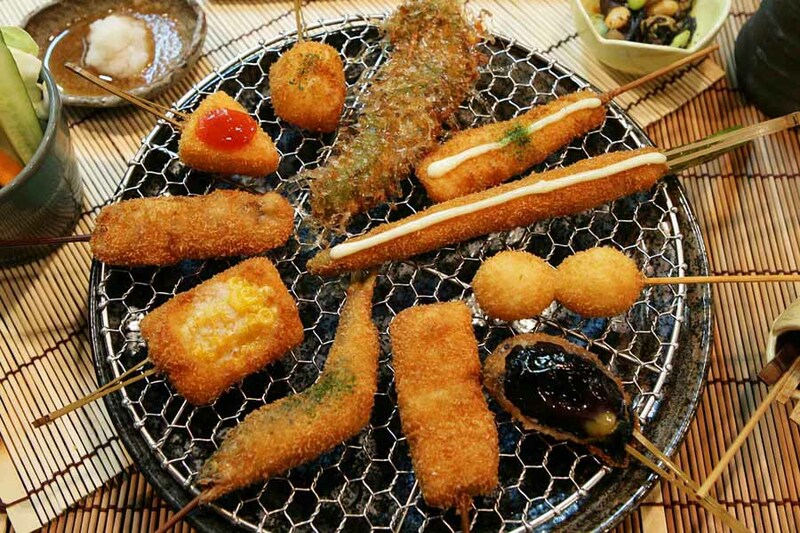 Famous Issunboshi in the folk tale is a story of "Otogisoshi (fairytale book)" that it enacted between Muromachi period and Edo era. 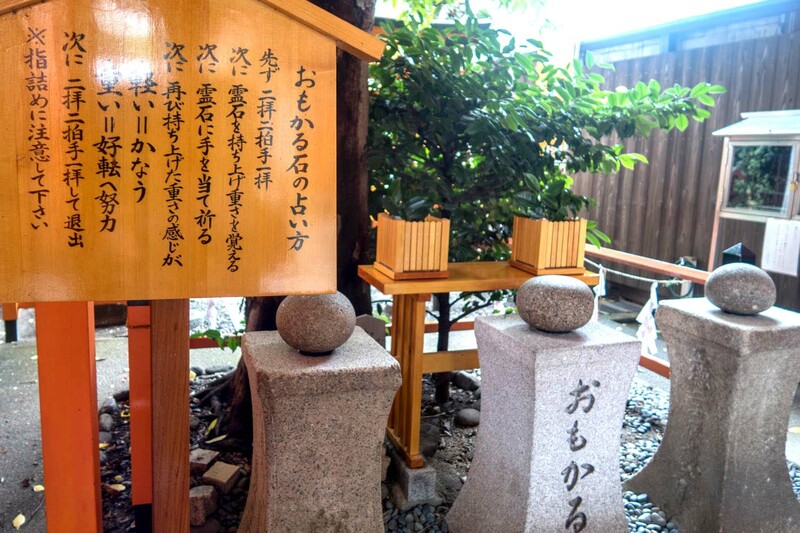 The story is start from elderly couple was pray to Sumiyoshi-Daimyojin, and they bestow the children at the beginning. 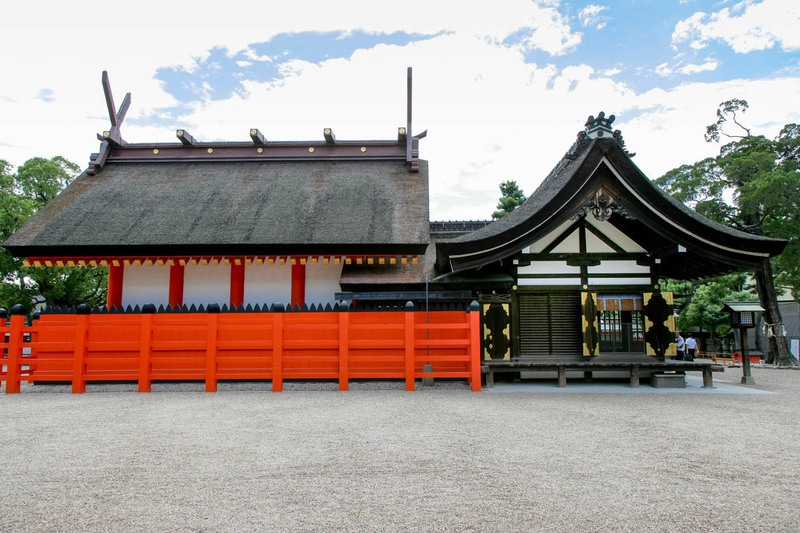 In this background, Empress Jingu gave birth to a Emperor Ojin without any problems thanks getting Sumiyoshi-Taishin blessings, and to guess narrative that had been widely known about the safe delivery and Kodakara, such as the birthstone of Shimadzu Tadahisa. 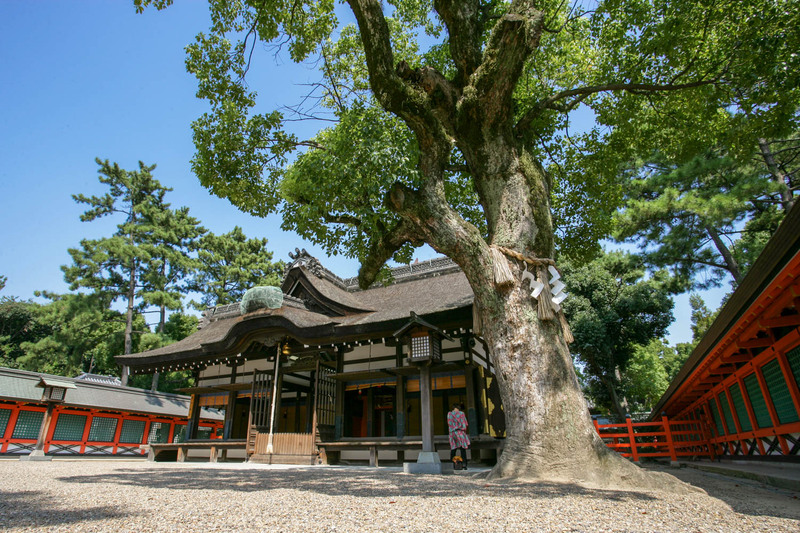 Even now, Tanekashisha of Sumiyoshi Taisha precincts has been faith as God bestow the good wisdom, Seeds of various agricultural, Child bestowed, Capital which is under the business. This stone character, was written with a brush or magick, or some of it was written with a pen, but think that may choose which. 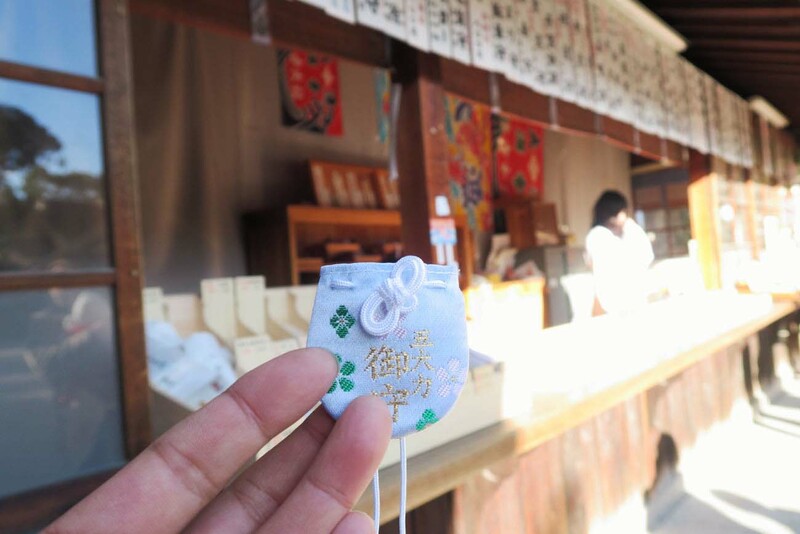 Anyway if when you found the stone of "五・大・力 (five, large, force)", Wash the stone at Chozuya, Buy this little purse in the awarding office, Put in the pebbles and this will be amulet. 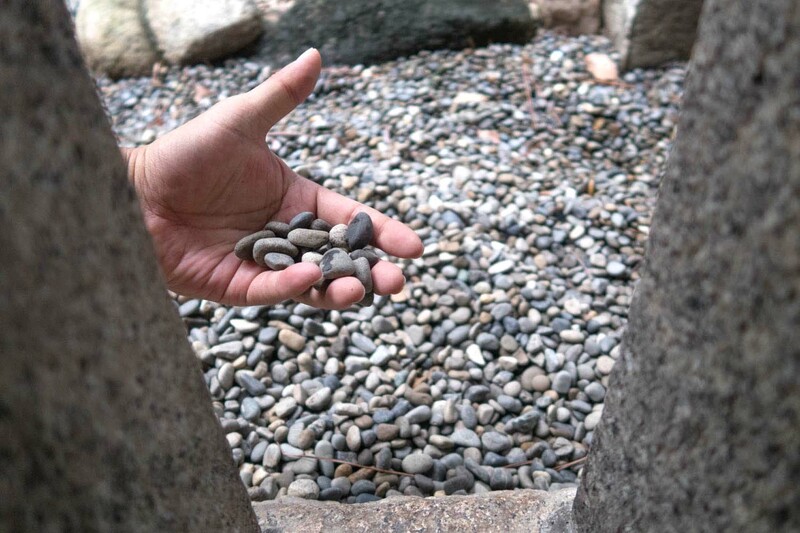 If the wish came true, picked up an affordable stone in the vicinity of your own home, write it "five, large, force", and return the pebbles to stone wall. It has become a habit. 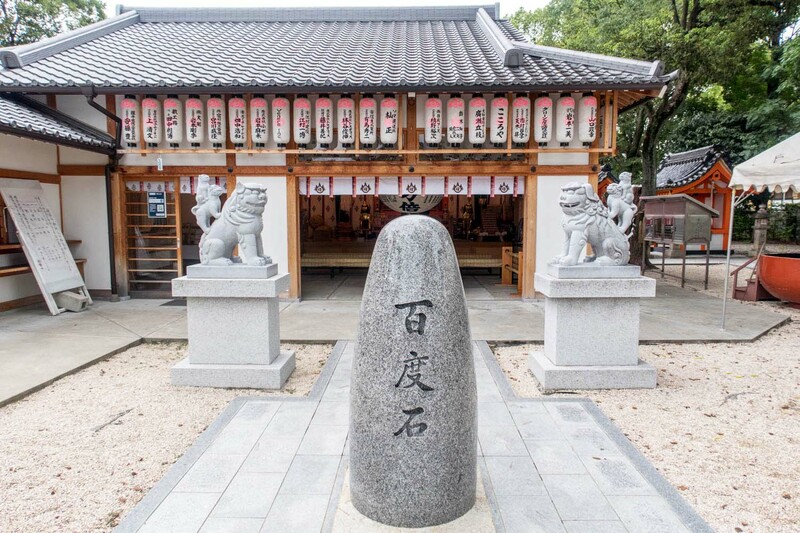 Brush or a pen, such as magic, that's why character by various people in the stone is written. 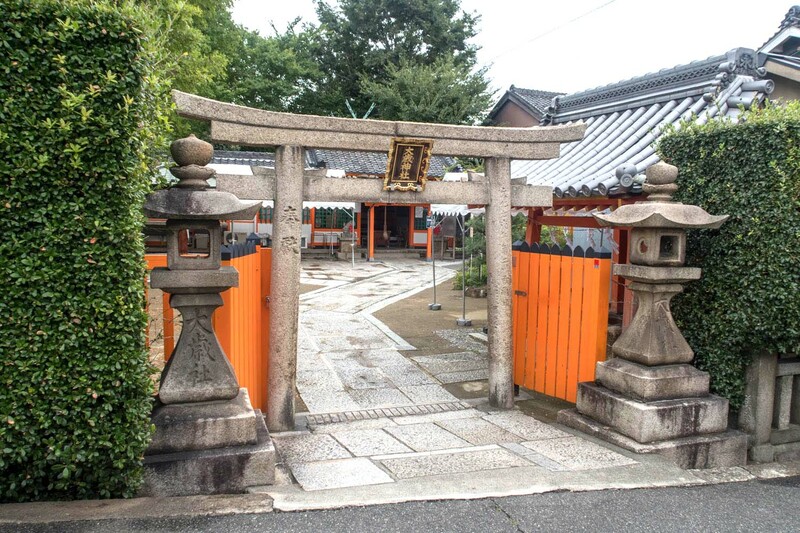 A little away from Sumiyoshi Taisha, there is "Otoshisha" that is subordinate shrine. 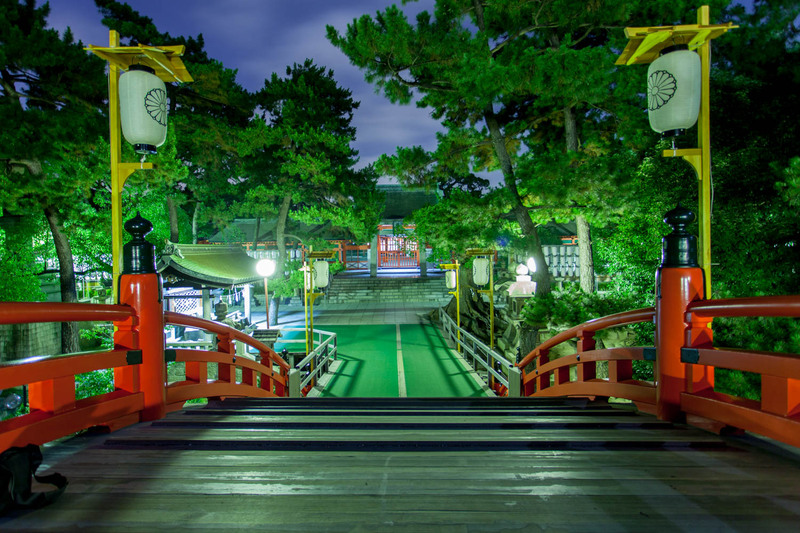 At here, Let's try fortune by "Omokaru-ishi" about wish come true. 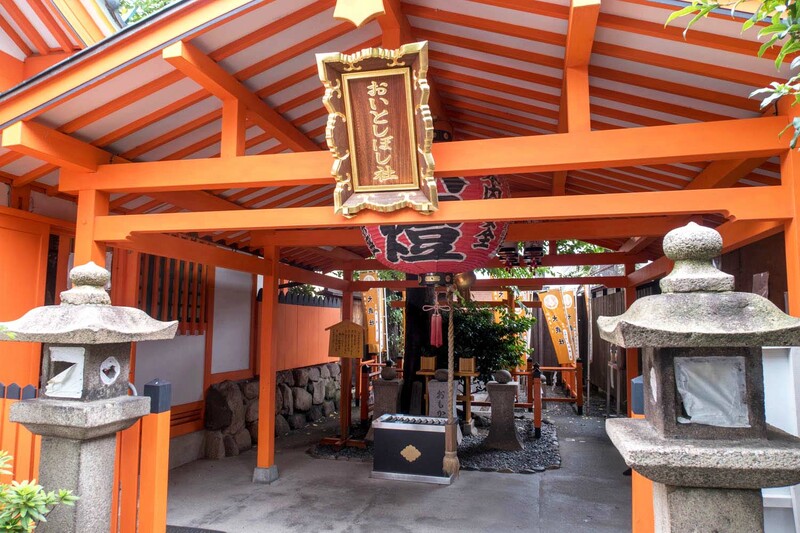 Proceeding about 50m to the southeast from precincts of Sumiyoshi Taisha, Been popular as the god of beauty, there is the "Asazawasha" that women who worship at Sumiyoshi Taisha are visit always. 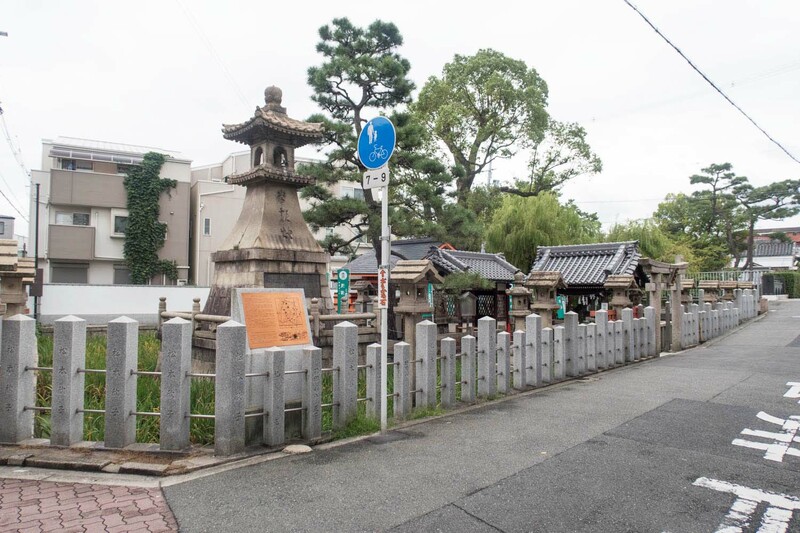 Furthermore to walk from this Asazawasha about 50m, There is "Otoshisha". 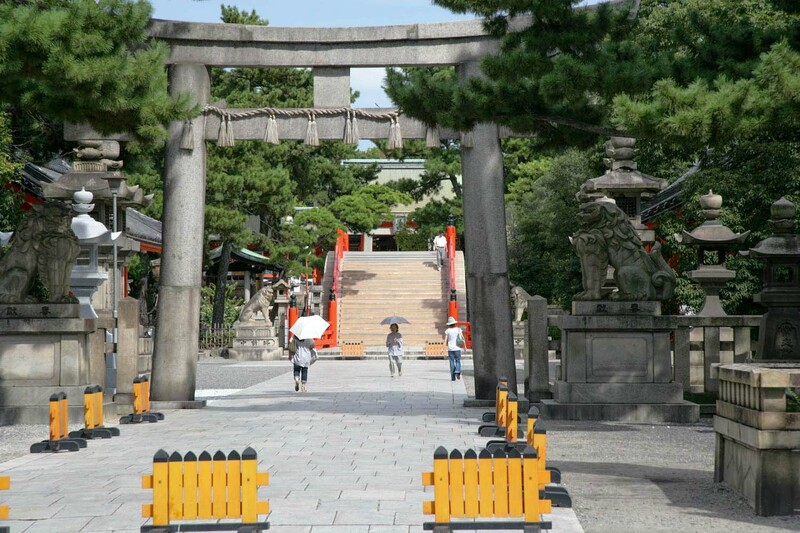 Omokaru-ishi is located in the "Oitoshiboshisha" of the right hand it entered this torii. Are written on the bord, the procedure of divination is as follows. 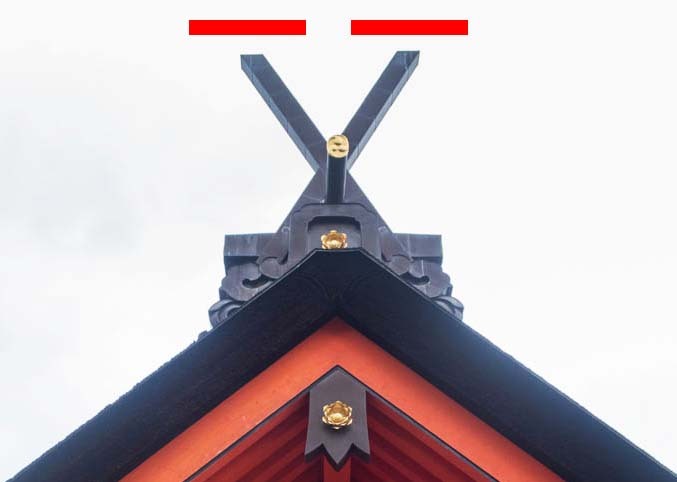 ●First, 2 bows - 2 applause - 1 bow. 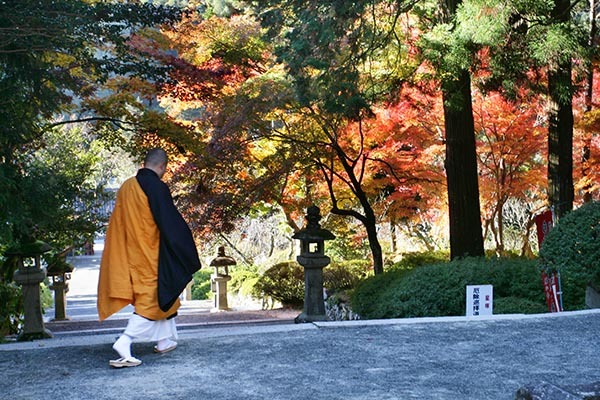 ●Next, lift the stone, and remember the weight. 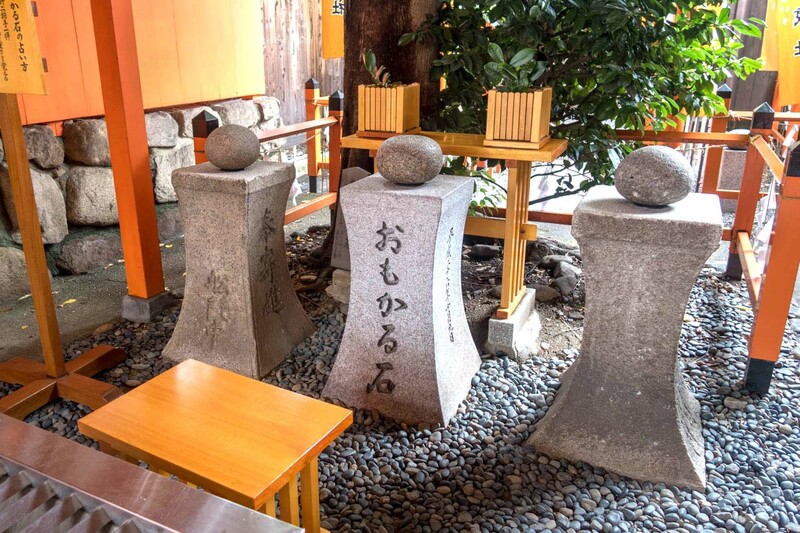 ●Next, place your hand on the stone, and pray. 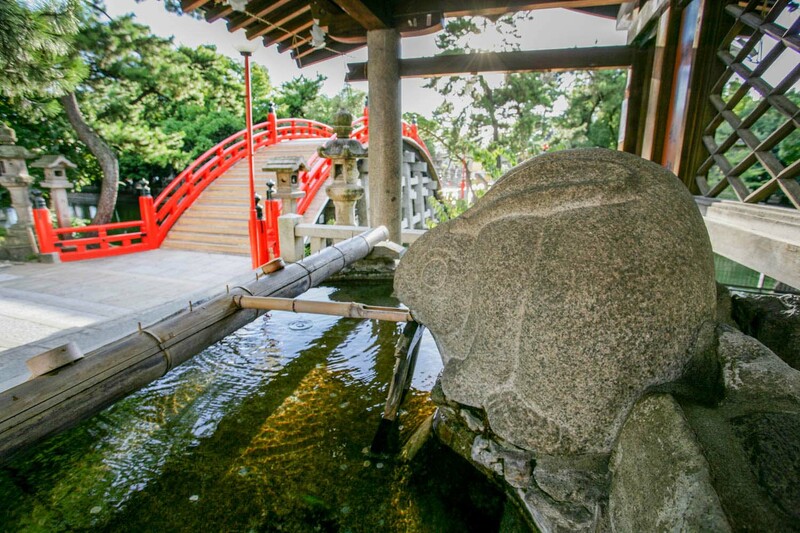 ●Next, try lifting again stone. ●Finally, 2 bows - 2 applause - 1 bow, and exit. ※Please note the finger interpose. 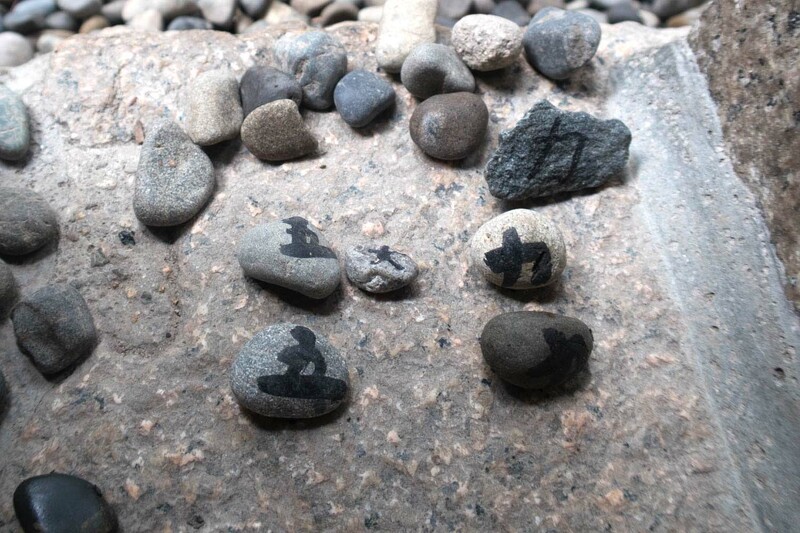 Stone has lined up three, but may choose any one. This stone has a considerable weight. 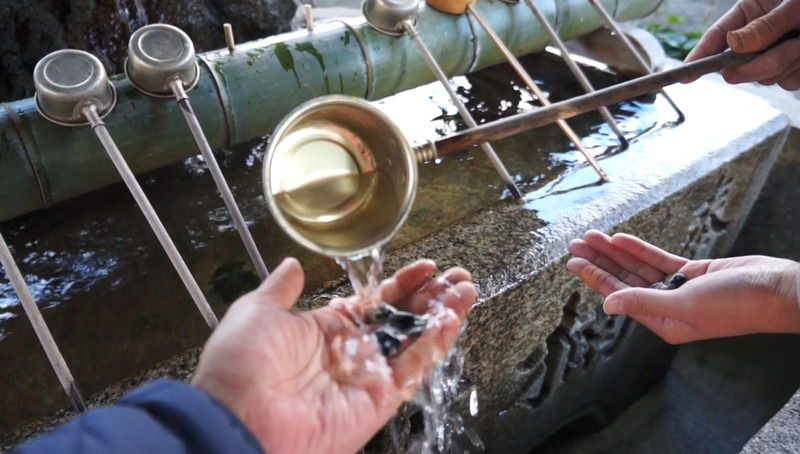 Also written to plate, finger interpose when you place has a stone, much more not fall the stone on foot, please use caution. 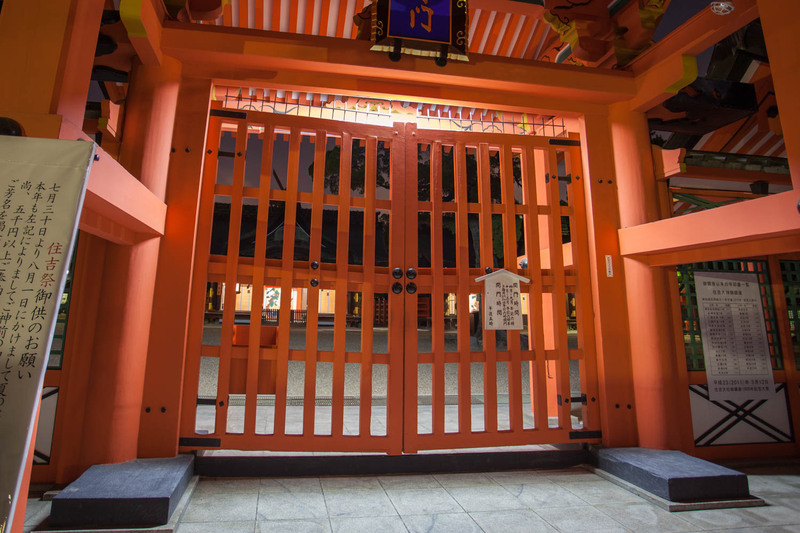 Sumiyoshi Taisha open gate time is has become a from 6 am (6:30 by season) to 5:00 pm, you can not enter the precincts except the open gate time. 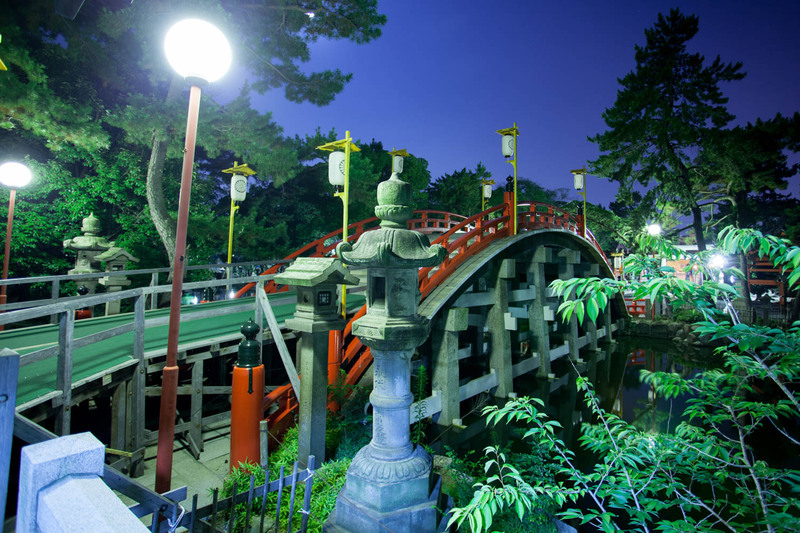 But even at night, there is area also can walk in, such peripheral as arched bridge. 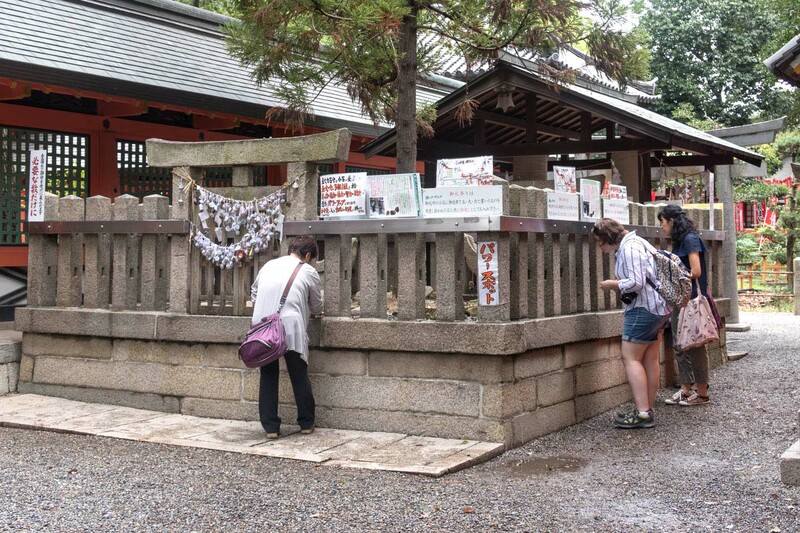 And also because the main gate on the west side are also installed offertory box, you can pray from outside of gate even at night. 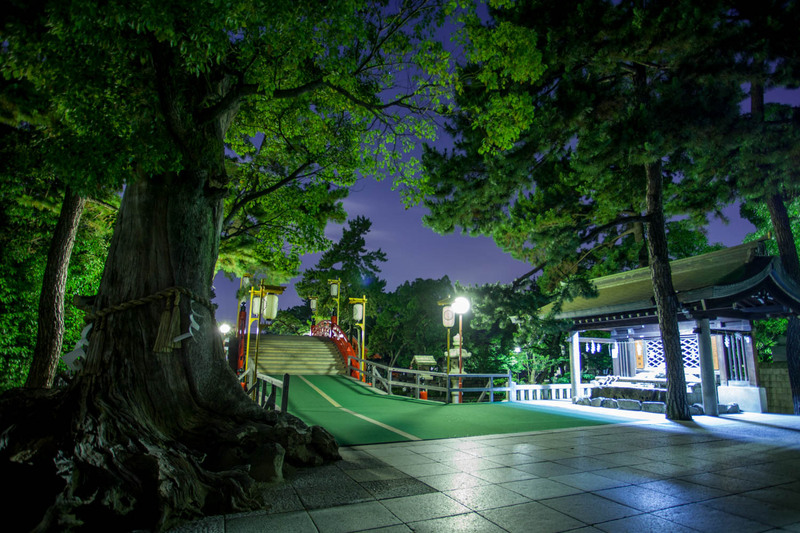 ・3-Minute walk to the east from Nankai Main Line "Sumiyoshi Taisha Station"
・5-Minute walk to the west from Nankai Koya Line "Sumiyoshihigashi Station"
・Just a short walk from Hankai Tramway (tram) "Sumiyoshitoriimae Station"